Helpful and stylish! 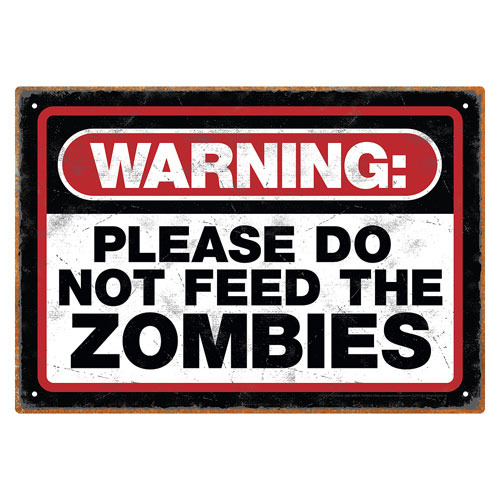 This Zombie Warning Tin Sign measures approximately 8-inches x 11 1/2-inches. The perfect item in case anyone needs a little reminding. Ages 12 and up.